If you don’t want to waste money, don’t make junk mail! You’ve been there, we all have. Ringing through all that junk mail just to get to the goods. Part of you feels horrible about throwing out so much paper – like you’re killing a tree at least once a month. So what is the 2 second rule? Two seconds. The amount of time you have to capture your customer’s attention before your ad goes straight to the trash and you’ve just wasted money and paper. The same rule applies to magazine print ads. You only have seconds before they flip that page. This is what we like to call the ‘make it or break it’ point. If your advertising lacks the visuals and key messages to capture the attention of your customer in the first two seconds they see it, then you’re thrown straight to the curb! 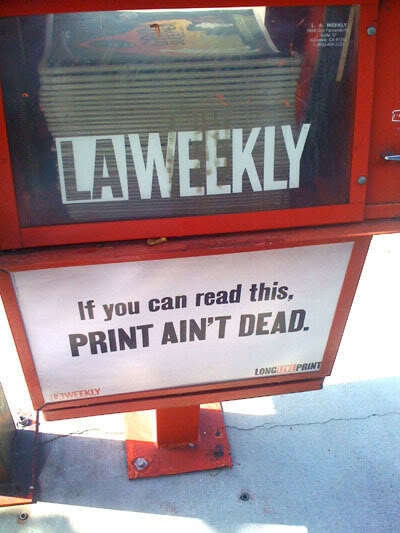 Is Print Advertising Still Alive? Where does Mao Marketing come in? Mao Marketing can help you improve your current print campaigns, or create new print advertisements that engage your customer to the point where interest is triggered. We help YOU capture the attention of your target consumer through visuals and catch phrases that will bring your business more traffic, guaranteed. I had been getting flyers created for my home renovation business and inserting them in newspapers for a few years before I met with the Mao Marketing team. I didn’t really think there were any problems with my flyer until these guys pointed out a few things like: how I should be really highlighting some of my special offers or … My new flyer is now circling around Guelph and KW. I’ve already experienced a big difference in the amount of calls i’m getting. These Mao|Marketers really know their business. If you run your own business and are close to their office, I would take that free meeting they offer. Set up a free consultation to discover what Print could be doing for your business!